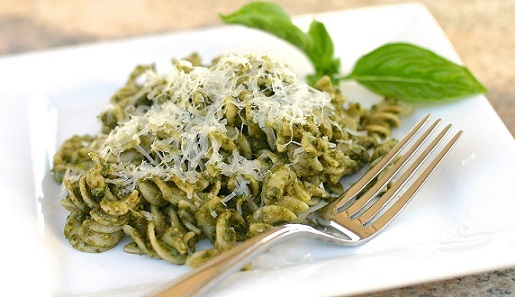 This Linguine Pesto Recipe is easy, but delicious. When the restaurant features it on special sheets, we sell out. The restaurant guests love it. Preparation time: 30 minutes. Serves 4. 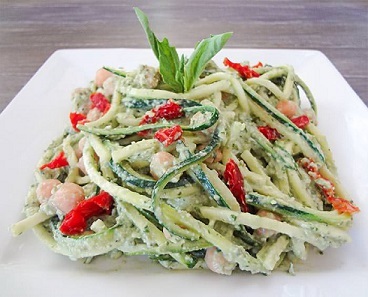 Enjoy your healthy, delicious Pasta Recipe and the company of those you share it with! Enjoy all these real restaurant recipes! 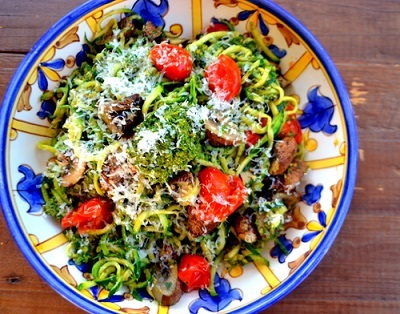 "If anyone ever tells you that you use too much Parmesan cheese with your pasta, stop talking to them. You don't need that negativity in your life."